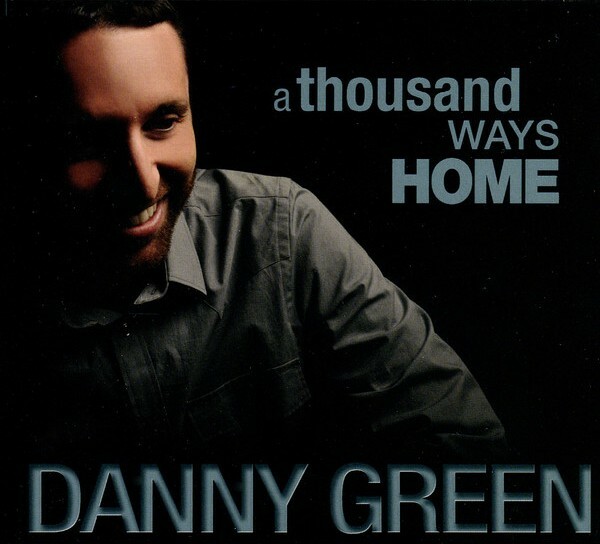 When jazz pianist Danny Green released his 2009 debut album With You in Mind, he effectively demonstrated his unique blend of jazz, classical, and Brazilian sounds. The structure common to classical music dominated many of its tracks — his cover of Dave Brubeck’s “Take Five” thus made perfect sense — but the improvisational nature of jazz still fit into this framework. His sophomore effort, A Thousand Ways Home, finds Green in a looser mood; in other words, he relies less on a structured framework and focuses more on spontaneity, engaging in spirited musical repartee with bandmates. The San Diego-based musician has thoroughly immersed himself in Brazilian jazz, and that shines through in cuts such as “Unwind,” a jaunty composition that benefits from a memorable piano riff as well as the perfect synchronization of Green’s piano and Eva Scow’s intricate mandolin finger picking. “Quintal da Solidão” features Green’s deft playing along with a playfully sensual vocal by Claudia Villela, very reminiscent of fellow jazz singer Kevyn Lettau. This may not be surprising considering that frequent Lettau collaborator Peter Sprague and his brother, Tripp, also make appearances on the album playing guitar and saxophone respectively. In addition to his Brazilian jazz interests, Green also has the ability to perform modern jazz with an urban feel, the best example being “Nighttime Disturbances.” Green effortlessly changes tempos, his fingers flowing over the keys, with Tripp Sprague turning in a complicated sax solo. Bassist Justin Grinnell deserves credit here for his entertaining interplay with Green’s piano, establishing an uptempo groove for the rest of the group to follow. “Soggy Shoes” also fits in with this modern feel, with Peter Sprague’s guitar lending a little funk to the track. Green’s classical influences shine through most in the ballad “Over Too Soon,” the beginning of which faintly echoes chamber music. Julien Cantelm uses the lightest of brushes to set the slow tempo, with Scow’s mandolin adding a Spanish flair to a lovely, airy tune. “Dusty Road, Part 1” sounds like an extra track from his debut album, as Green’s solo piano recalls the structured feel of his freshman effort. But as “Dusty Road, Part 2” immediately follows, he breaks into a joyful Latin rhythm. He and Scow trade lines, demonstrating their virtuosity and precise—yet soulful—performing style. The final track, “Running Out of Time,” speeds up the tempo, mimicking the sense of being rushed. Green executes a tight series of low notes, setting the pace for the rest of the band. As Scow, Grinnell, and Cantelm take solos, Green plays subtle yet effective fills in the background, adding weight to the sound without detracting from other musicians. Like Brubeck, Green has successfully combined jazz and classical styles to form a distinctive sound. But he adds a twist with his love for Latin music, and on A Thousand Ways Home he expands his horizons by incorporating other world music influences. In addition to Green, Scow and her mandolin are the MVPs of this album. In an interview promoting his new album, Green explained that he and his backing musicians “had a wonderful time in the recording studio and I hope that joy translates in the music.” Judging from the ebullient sound and less structured feel of A Thousand Ways Home, he has largely accomplished that goal.